Songwriter Yasushi Akimoto, creator of the 48/46 franchise and Onyanko Club, is set to produce a new group that will be formed via televised competition aiming to build the best idol group. The upcoming TV Asahi show “Last Idol” will begin in August and is open to girls between the ages of 14 to 26 years old. The competition is not only open to amateurs, but also local, net, underground and professional idols—regardless of status in other groups (with permission)—to bring attention to talented girls who have not received the spotlight they deserve. The concept is similar to Korea’s recent reality girl group survival shows “Produce 101” and “Sixteen“, which produced the girl group TWICE that is trying their hand at promotion in Japan to great success. Girls that will make it on the show will be chosen through a singing, dancing, and interview process that started on July 8. Following that, 7 girls will be revealed late July to early August for the first episode. From there, the group will continue to change its lineup up until their debut. Every episode will have a “challenger” who will compete against one of current 7 members of her choice for a seat in the group. 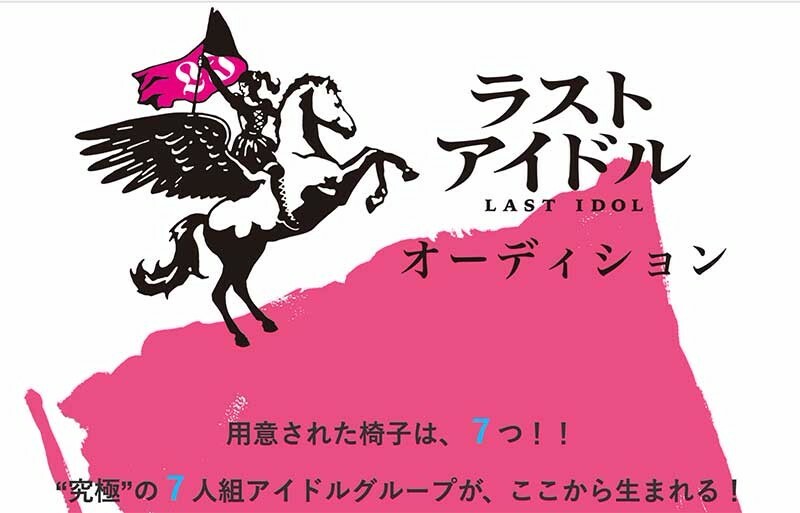 The final top 7 contestants will form an idol group—releasing their own CD before the end of the year, receiving a regular TV show on TV Asahi, and appear on the cover of a weekly magazine. The series will be directed by Keiichi Tanaka, who has previously worked on other programs “Kanossa no Kutsujoku”, Japan’s “Iron Chef” and “Quiz $ Millionaire”, the Japanese version of “Who Wants To Be A Millionaire?”.